Whether you're an individual seeking to build your dream workshop, your dream house, temporary housing or a major corporation in need of additional space, our steel buildings mean big savings for you. All of our buildings are hurricane rated and backed up with a limited warranty. Buy your steel buildings from World Wholesale Bahamas and save thousands! Our steel buildings are manufactured in a state-of-the-art facility that features a fully automated, computer aided manufacturing steel line that creates a high quality product with the utmost precision. We can accommodate any standard or custom steel building application. Looking for a prefab steel building to use as a carport, garage, storage buildings, metal commercial, industrial, pole barns, and farm or agricultural building; we can easily customize it for you. Residential or commercial steel buildings can also be customized to complement surroundings and preexisting structures. 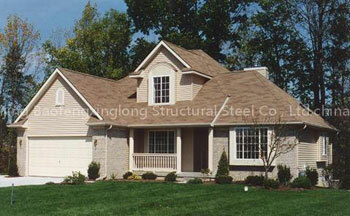 Our solid, easy to assemble construction ensures stability, strength, and durability.